Have you noticed the word Angus on your burger or steak packaging recently? It seems everyone from fast food chains to high-end restaurants have started a bit of a love affair with it. The Angus name is synonymous with quality and its label adds value to a product, but what is Angus and how is it different to other types of beef? Angus beef comes from a Scottish breed of cattle, called Aberdeen Angus. Angus were bred to be robust and sturdy so they could thrive in the cold Scottish winters, and so they developed more muscular bodies. Nicknamed “doddies” – as they were “dodded” or without horns – Angus were first imported to Australia in the 1800s, coming to Tasmania, or Van Diemen’s Land as it was known then. Being polled – or without horns – is advantageous for producers who don’t have to dehorn the cattle. Angus cattle are medium sized, muscular animals, and mostly red or black in colour. They’re predominantly grass fed, and later in life grains like corn and wheat are introduced to their diets. This process, known as grain finishing, enhances the marbling and flavour of Angus beef. Angus are known for the high level of marbling in their meat. A lot of marbling keeps the meat moist for longer when cooking. And where there’s marbling, there’s tender, juicy and flavoursome beef. True story: Australian Angus gained massive exposure and popularity when it was introduced as a burger on McDonald’s Australia menu. 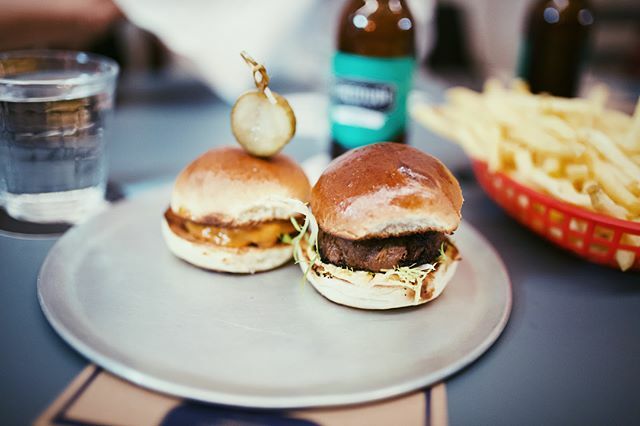 It came at a time when restaurants around the country were trying to woo customers with more discerning tastes, wanting to offset the burgeoning gourmet burger movement which focussed on high quality beef patties including Angus and Wagyu etc. But Angus’ recognised position as more of an exclusive or high-quality meat secured it a spot in Australian hearts, and its popularity grew through this exposure. Since then, the beef has been synonymous with burgers, being copied in steak houses and pubs around the country. What is the difference between Angus and wagyu beef? Looking at the characteristics of both, you may see some familiar traits between Angus and the Japan-originating wagyu beef. They’re both known as superior beef products, and both are made up of a high amount of marbling. However, Angus is derived from one breed, while wagyu can be produced from a range of breeds. Meat aficionados also report a distinct difference in the taste of the two. What should I look for when buying Angus beef? The best way to identify a quality cut of Angus beef is to speak with your local butcher and they’ll be able to take you through the range of factors that affect eating quality, including the age and breed of the animal, handling and processing conditions and the cut itself. 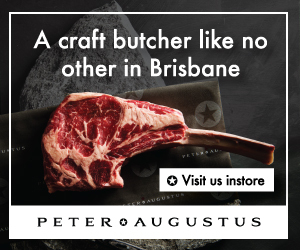 You should also ask your butcher if the Angus beef is pure (100%) Angus. Which cuts of steak have the least fat?